Compatible with 5500 Series AC Power Distribution Panel. 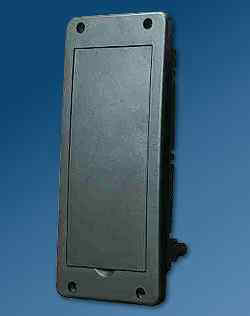 Holds up to 18 ATC-type fuse holders for 20 or 30 Amp fuses. DC Panel has 2 built-in +12 Volt power bus terminals for connecting battery and converter positive wires. Attractive, light weight panel design made from impact-resistant, high temperature polymers. 12 Volt DC output connectors available as either 1/4" Fast-on® or screw type. Available in 12 fuse holders with 11-position ground bus bar. 18 fuse holder with 15-position ground bus bar. LED indicators alert to blown fuse. Available in brown, black, and white.